From participating and hanging out backstage at a multitude of bodybuilding events, I’ve learned they’re a vast number of different approaches to fat loss when it comes getting extremely lean. Every bodybuilding fat loss diet has its positives and negatives, but they’re all relatively effective for shredding excess body-fat if followed correctly. Here are five bodybuilding competition fat loss diets that I’ve personally tried with the pros and cons of each. Any diet that restricts one’s carbohydrate intake below 20% of one’s daily caloric intake is considered a low carb diet. Low carb diets are extremely effective at burning fat stores. They work by decreasing the body’s blood glucose, insulin, and glycogen stores which turns the body into a fat burring furnace. During my experience with a low carb diet, at times I felt as though fat was melting off of me. Also, the decreased carbohydrate intake leads to less water retention in the body making the dieter appear leaner within just days which I also enjoyed. Additionally, some individuals will feel satisfied after meals during a low carb diet despite the fact they may be eating less calories. Depleting the body’s glycogen stores may be a positive for fat loss, but it’s a big negative when it comes to retaining muscle mass. Muscle glycogen is comprised of stored carbohydrates which is the body’s preferred fuel source during strength training. Without this stored energy, your workouts will likely lack the intensity needed to preserve muscle mass. Personally, I felt as though I was dragging during my workouts while on a low carb diet. However, your body will eventually compensate by converting fatty acids into energy, this happens at a much slower rate and chances are you’ll still feel depleted and drained throughout your workout. A calorie restricted or calorie reduced diet is any diet that restricts one’s calorie intake to below their body’s maintenance calories. Although all successful fat loss diets require a reduction of calories, this protocol focuses on calories only and not the macronutrients consumed. This is a very simple diet to follow. It’s nothing more than reducing the amount of calories you consume on a daily basis. For me, it was as simple as reducing my portion sizes at every meal. At first, your body will begin to shed body-fat as an attempt to balance out its energy expenditure, and it will continue to do so as long as you incorporate re-feeds into the diet. Also, this diet allows you to continue eating carbohydrates so you’ll have an easier time retaining muscle during a calorie deficient state. If one doesn’t include re-feeds into their calorie restricted diet, the body will eventually adjust to the diet by slowing down its energy expenditure. People refer to this as the body’s metabolism slowing down or a metabolic crash and it’s a culprit of fat loss plateaus. I learned this the hard way during one of my contests preps when my weight loss came to a halting stop regardless of the fact I continued to lower my calories. Another drawback to a calorie restricted diet is that some individuals will still feel hungry and unsatisfied after meals which could result in food binges. This style of dieting is based upon meeting the caloric and individual macronutrient needs relevant to an individual’s goals. Basically, you can eat foods of personal preference as long as at the end of the day you’ve stayed within your caloric and macronutrient guidelines. The fact that you aren’t restricted in your food choices is what makes this diet enjoyable and easy to adhere to. Also, this diet is very effective at shedding body fat if you set your caloric intake and macronutrient guidelines properly. Following this protocol allowed me to still enjoy social functions during my diet without the need of bringing my food in tupperware containers. This diet hinges on the ability of the dieter to set correct macronutrient and caloric guidelines. This isn’t ideal if the dieter isn’t experienced in formulating weight loss diets. Also, the fact you’re given the freedom to select foods of personal preference could end up working against you. For instance, if you consume a high carbohydrate meal in the morning, this could leave you restricting carbs the rest of day which isn’t a walk in the park. There a few methods of intermittent fasting. Some fasting methods are daily while others are full day fasts. One of the most popular in the bodybuilding community is the leangains protocol which is a daily 16 hour fast followed by an 8 hour feeding period. Surprising, one of the pros of this diet is it’s pretty easy to follow. 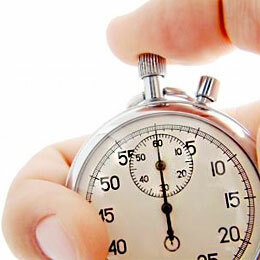 Usually, you’ll start your fast in the evening say around 8pm, and then you’ll simply skip breakfast and start your feeding period around noon. Meals are generally bigger because you only have an 8 hour window to eat which leaves you pretty satisfied after meals. Contrary to what I believed before trying this diet, my metabolism didn’t slow at all and I had no problem losing fat on this diet. Some of the cons of this diet were hunger (duh) towards the latter part of the fast, extreme lethargy post meals, overeating during the feeding period as you tend to reach for dense high calorie meals, and feeling bloated during the feeding part of the diet. The bloating feeling is more than likely because you’re trying to consume a full day’s worth of calories in 8 hours. A low fat diet is a diet that limits one’s fat intake below 20% of an individual’s daily calories. Low fat diets were extremely popular in the 1990’s as fat was seen as the culprit of many health related issues. However, today we recognize that some fats are indeed healthy for us. With a low fat diet, you can consume a large amount of carbohydrate and protein rich foods because they contain half the amount of calories per gram as fats do. Carbohydrates and proteins contain 4 calories per gram while fat contains 9 calories per gram. What this means is you’re able to consume a large quantity or volume of food without taking in an excess of calories. 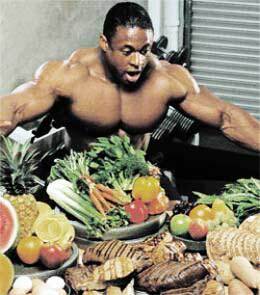 As a bodybuilder, it’s an all-out fruit, vegetable, chicken, and tilapia galore. Unfortunately for low fat dieters fat plays a crucial role in satiation, hormone production, and vitamin absorption. My experience with low fat dieting no doubtably left me experiencing hunger after meals even though I consumed a large amount of food with an adequate amount of calories. Also, I believe I did experience a drop in testosterone as I experienced several symptoms of low testosterone, but I don’t have any scientific proof such as blood work to confirm my suspicion. Depending on the individual, one diet approach may be more favorable and appealing than the others. However, the best fat loss diet in the world won’t do you any good if you cannot follow the guidelines. 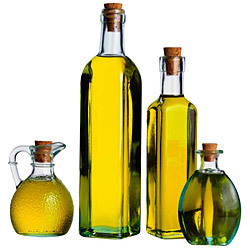 Therefore, the most beneficial fat loss diet is the one you can adhere to the best. 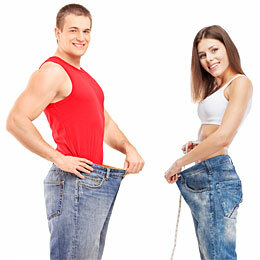 I suggest trying out different fat loss diets for an extending amount of time (3 months). This will allow you to find out what diets work best for your physique, and what diets you’re able to consistently follow. Finding the right diet for you may be a great deal of trial and error, but having a lean physique makes the journey well worth it.